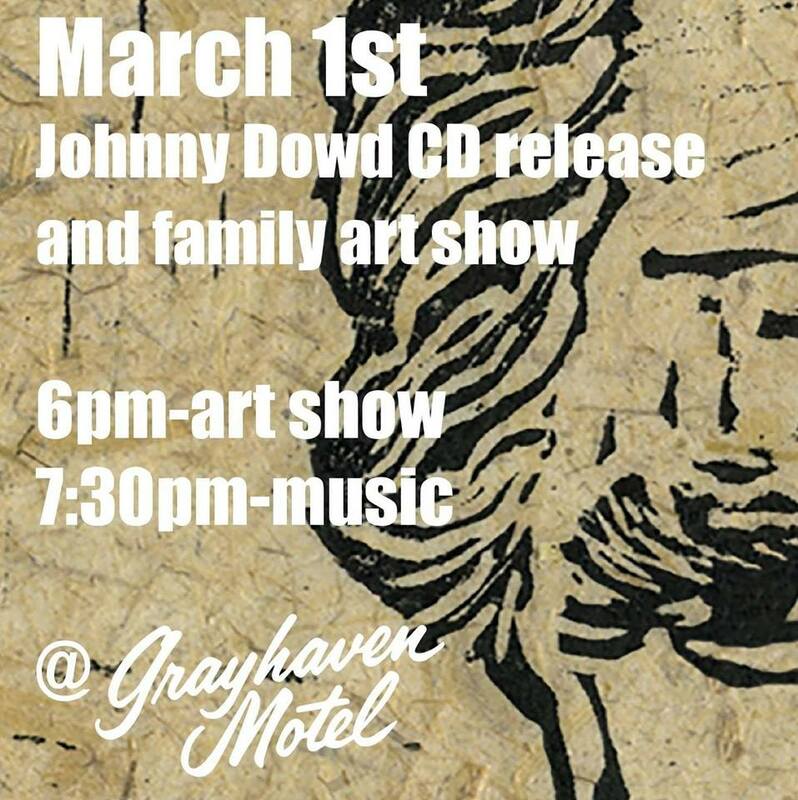 Join us as Johnny Dowd celebrates the release of his new album “Family Picnic” with both a performance and an art opening featuring John, his sister Jennifer Edmondson, and niece Jade Dowd Vanderberg. Johnny, Michael Edmondson, & Kim Sherwood Caso are pulling out all the stops, and Park Doing is opening the show. The art pieces will be available for purchase at the Opening by making a donation to The Cancer Resource Center (envelopes will be available at the show). The show ends on 3/28.